So, why is low back pain such a common problem? There are several answers to this perplexing problem. The anatomy of the back is extremely complex. Each vertebral segment has several joints that it meets with. You have the costo-vertebral joints in the thorax, the intervertebral disc, and the facet joints. All of these joints are surrounded by ligaments and muscles, some of which are thinner than a pencil. Of particular importance, is the close proximity with the nervous system. Your spinal cord is located inside the spinal canal of the vertebrae, and each spinal segment has a set of nerve roots that come out near the facet joints. If these nerves are affected by inflammation or structural changes in the spine, you may have more severe symptoms. Most of our waking hours are spent in a position that puts stress on our discs. These discs are designed to be the shock absorption for our spine, so the outer part is made of alternating layers of fibrous tissue while the inner portion of the disc is a soft gelatinous material. A disc herniation occurs when a portion of the inner gel escapes out past the fibrous layers. When there is a constant load on these discs, they tend to dry up and get squished. If you add vibration to that (like riding in a car for several hours), you will get even more of a drying and squishing effect. Please see the chart to the right for references on the amount of load on your discs in various positions. Deconditioned (weak or inhibited) core stabilizing muscles like your spinal, abdominal, and gluteal muscles, make your low back more susceptible to injury. If you are one of those people who says, "my back goes out once or twice every year," then it is likely you have a deconditioned core. We can help get you out of the acute pain stage with chiropractic and physiotherapy modalities, but more important to your long-term health will be a targeted core stabilization program. Regardless of what is causing your back pain, the most important question you need the answer to is "what is causing the pain?" The answer to this question will guide us through treatment and physical rehab (in-office and home exercises). To find the answer, it is essential for you to have a thorough examination by a qualified practitioner. As a chiropractor, I am extensively trained in the management of back pain. Regardless of what is causing your back pain, the most important question you need the answer to is "what is causing the pain?" The answer to this question will guide us through treatment and physical rehab (in-office and home exercises). To find the answer, it is essential for you to have a thorough examination by a qualified practitioner. As a chiropractor, I am extensively trained in the management of back pain. If you are looking for alternatives to pain killers and muscle relaxers, and if you want to prevent future injuries, please give us a try. 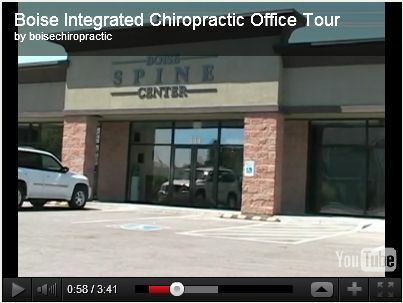 I am confident we can help you get relief from your back pain. If you are looking for alternatives to pain killers and muscle relaxers, and if you want to prevent future injuries, please give us a try.